Why it's so great: Only 45 minutes from Manhattan, this skinny barrier sandbar houses one of the Island's oldest beachside communities, despite being only half-a-mile wide at its thickest. That means you're never more than a few steps from the water, surrounded by both bay and oceanside views. The iconic boardwalk has been an institution here for more than 100 years -- not even Superstorm Sandy could permanently shut it down. 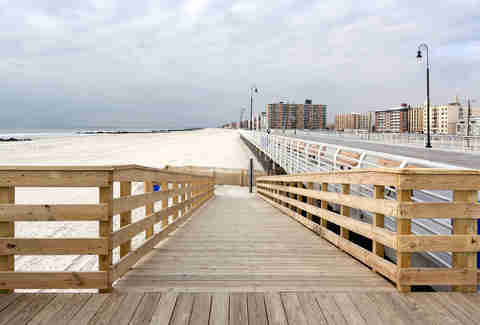 What to do: Stretch out on the sand or walk the boardwalk to soak up the seaside vibe. For dinner, don't flee back to city with the other daytrippers. Swingbellys on Beech St churns out real-deal slow-smoked barbecue, including the best ribs this side of St. Louis. For dessert (or breakfast... no judgement), check out Dough Hut for handmade donuts in flavors to rival far-trendier (read: more expensive) bakeries, like maple bacon and s'mores. Or visit the Diner by the Sea for crazy, multicolored milkshake concoctions you don't have to wait hours in line for. 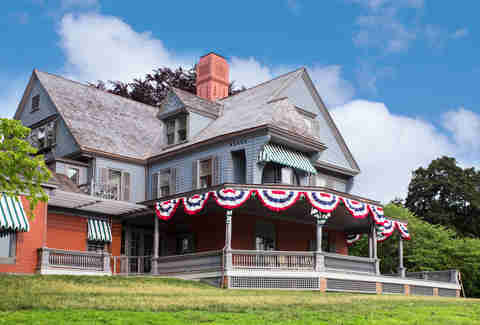 Why it's so great: This historic hamlet is home to Teddy Roosevelt's summer house, Sagamore Hill. And in honor of this nature-loving president, his namesake Sanctuary & Audubon Center preserves 15 acres of wildlife for your strolling or hiking enjoyment. The walkable, waterfront Downtown also boasts some charming shops, and if you're visiting in October hosts the annual Oyster Festival. Why it's so great: It's impossible to list the Island's most creative restaurants without mentioning Huntington more than once. 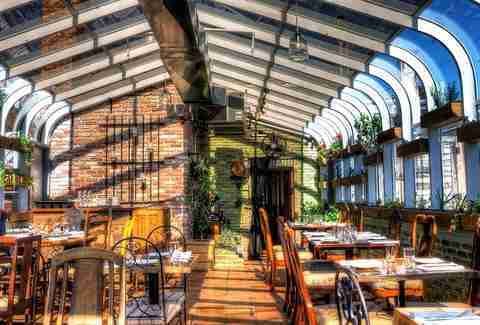 The relatively compact Downtown boasts more eclectic eateries than anywhere in the East End, and the culinary landscape stretches all the way up New York Ave to waterfront classics like Prime. This hamlet is no slouch in the cultural department either. Huntington is home to the Heckscher Museum of Art as well as the Cinema Arts Centre, whose line-up of independent, foreign, and classic films is a cinephile's dream. Heckscher Park also hosts the annual Summer Arts Festival with free outdoor performances nearly every night. What to do: If you'd rather see a show indoors, catch some live music or comedy at The Paramount, a venue revered for its ability to house big-time acts in an intimate setting. Stop next door for a pre-show bite at Swallow. The chef's innovative take on small plates means you can try a little of everything (like duck confit pizza!) and still have room for dessert. If after all that sampling you need a little buzz, check out Sapsuckers for local beer from one of 16 daily rotating drafts. And don't leave town without trying the famous cold cheese pizza from Little Vincent's. Why it's so great: This revitalized South Shore village is on its way to eclipse Huntington as the Island's new hot spot for good eats. New restaurants seem to pop up weekly on Main St. Culinary selections here run the gamut from healthy, organic fare at Tula Kitchen to the elegant oyster bar at Salt & Barrel to Verde's authentic, handcrafted Mexican cuisine served in a dining room/greenhouse. 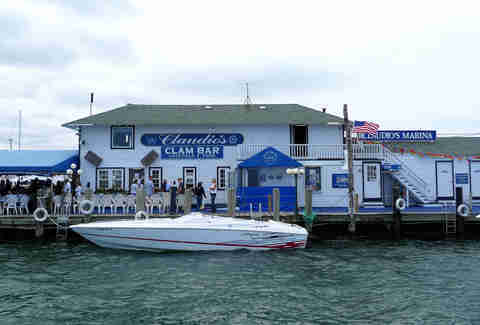 Down by the water, dockside eateries offer beautiful bay views and salty breezes. 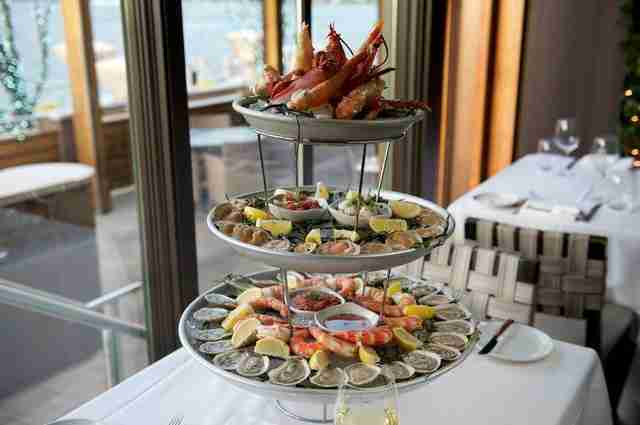 What to do: To work up an appetite, take a walk along the shore at Bay Shore Manor Park, stopping at Fatfish for a drink at their outdoor dockside bar. Then head up toward the village center. Just off Main on 4th St, Tullulah's offers the most innovative menu in town, with seasonal tapas offerings like lamb pasta or mussels in a spicy kimchi broth. Don't leave without trying one of the carefully crafted cocktails -- the mixologists are always experimenting with new concoctions. Finish the day by toasting some s'mores at Milk & Sugar -- both the decor and the menu are so sweet, they'll make your teeth ache in all the right ways. Why it's so great: This South Shore village's Downtown has recently gone through a huge transformation. An influx of new restaurants, bars, and breweries packs the ideal pub crawl within three small blocks. Walking Main St alone presents dozens of bar hopping opportunities, from the house-made beers at BrickHouse Brewery to the chili-infused margaritas at Del Fuego. 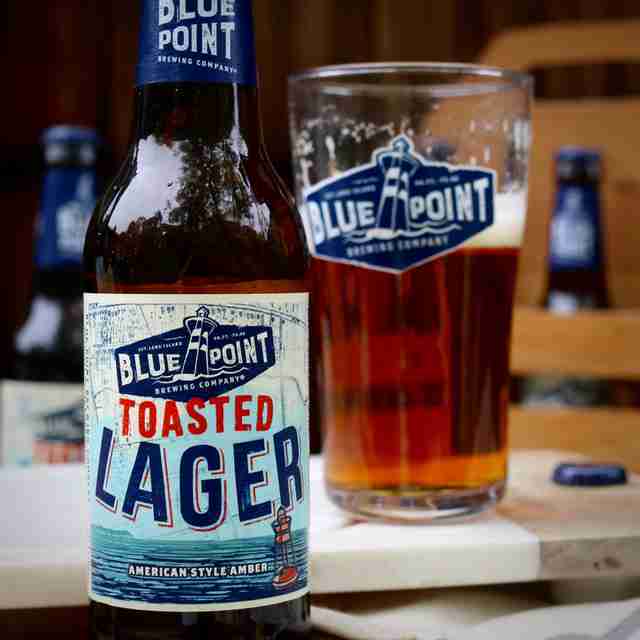 Of course, Patchogue is also still home to Long Island's OG craft beer maker, Blue Point. On Thursdays, the village hosts Alive After Five, a street fair that amps up party atmosphere. What to do: Along with paying their respects at Blue Point, beer aficionados need to visit Hoptron Brewtique. The constantly changing taps feature craft brews you probably won't spot anywhere else. Don't forget to grab a growler full of your favorite for a souvenir. If you're sick of overhyped, overcrowded music festivals, Patchogue also has the antidote. At Shorefront Park, the Great South Bay music fest is the low-key cousin of the overpriced big city affairs. This July brings acts to five stages over four days. When your visit is complete, you can hop a ferry to the next destination. 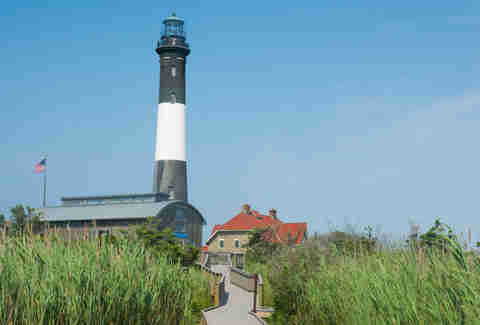 Why it's so great: Simultaneously a family-friendly seaside destination and the epicenter of the gay community on Long Island, this narrow stretch of sand has a little something for everyone. 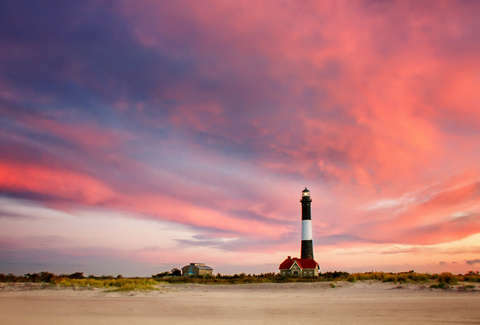 Only a short ferry ride from the South Shore, Fire Island is home to beaches that rival the Hamptons in both beauty and nightlife, but with a much more inclusive attitude. There are no cars on this tiny sandbar, so the peace is unmatched among the Sunken Forest, deer roaming the dunes, and people hauling their beach supplies in little red wagons. What to do: Let's be real, you're here for sand and sun, so arrive early enough to spend the better part of the day catching rays on Ocean Beach. For the easiest transportation, rent a bike to explore further. As the sun sets, take in the waterfront view at the Island Mermaid, a charming dockside restaurant beloved by locals and daytrippers alike. Why it's so great: Whether your booze of choice is beer or wine, this outpost sandwiched between the Peconic River and Long Island Sound has you covered. On the doorstep of North Fork wine country and laced with beautiful pastoral vistas, a journey along Sound Ave reveals vineyard after vineyard, making it easy to sample every varietal. For beer lovers, Riverhead is also home to three notable craft breweries -- Long Ireland, Crooked Ladder, and Moustache Brewing. What to do: Trek east along scenic Sound Ave, alternating stops between farm stands and wine tasting. Martha Clara Vineyards is a favorite spot, thanks to its bountiful outdoor seating, upscale food truck, and frequent live music. 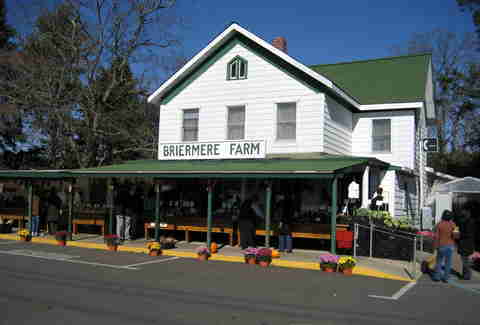 For homemade fruit pies baked with local produce, be sure to also hit Island institution Briermere Farms to take home a strawberry rhubarb or a peach cherry. If short on time, the North Fork Tasting Room offers a wide selection of local wine and beer for one-stop sampling. But true craft beer aficionados should head downtown instead. The easiest (and most entertaining) way to visit all the breweries is via a Brew Crew Cycles tour. There's nothing like pedaling a 14-person group bike to work off all that alcohol.